The Bahiri are real and Nova has found them hidden away on an invisible planet. With their help, she’s finally ready to accept what she is: a Nero. She has to train, to learn how to use her abilities, and she’s got years’ worth of catching up to do. Desperate, she’ll push herself - possibly beyond her limits. But learning how to use her abilities not only awakens her capability to control Neron, but her power to see the future. Going to sleep is a nightmare and heaven, all in the same breath. 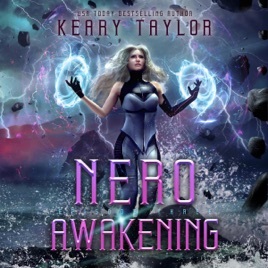 Her future hasn’t changed - it’s still with Valen Nero, standing and ruling by his side. Every morning she wakes, gutted and alone. Her visions of the love between them aren’t real. At least...not yet.